Here are 10 amazing bird enclosures your birds will love! Do you want to enjoy being with your chickens? Well this is the Shelter for you! It is great for your chickens and yourself too! This one is better for bigger birds. Like peacocks! This one is quite beautiful! And many birds would love it! This one will cost a lot of money! It’d huge! But if you have the cash and you want an amazing fun environment! Then this is the one for you! Every bird would want to be part of this fun and amazing environment! This one is for people who are on a bit of a budget but want a nice enclosure for there birds! Let me just add one tip! Add more forest to this enclosure, add some vines and some nice trees. This one is for people on a budget! But let me recommend some changes to this design. Make it taller and a little wider, add a bunch of trees and vines, and have a nice open space so that the birds can fly. This is very boring for the poor bird, they need something to play with or to jump from branch to branch. So make sure to add some vines, and real trees! If you would like something simple, this is the Bird enclosure for you! But I would recommend to add some more trees and vines! This one is a small enclosure, which probably only doves, parakeets, pigeons, and chickens, could do well in. But make sure to add some nice tree branches and some live trees! This one is a nice home for some parakeets! Just make sure to add a nice waterfall! And some nature aspect! Like trees, vines, grass, etc. This one is a great enclosure for some small or even medium sized birds! 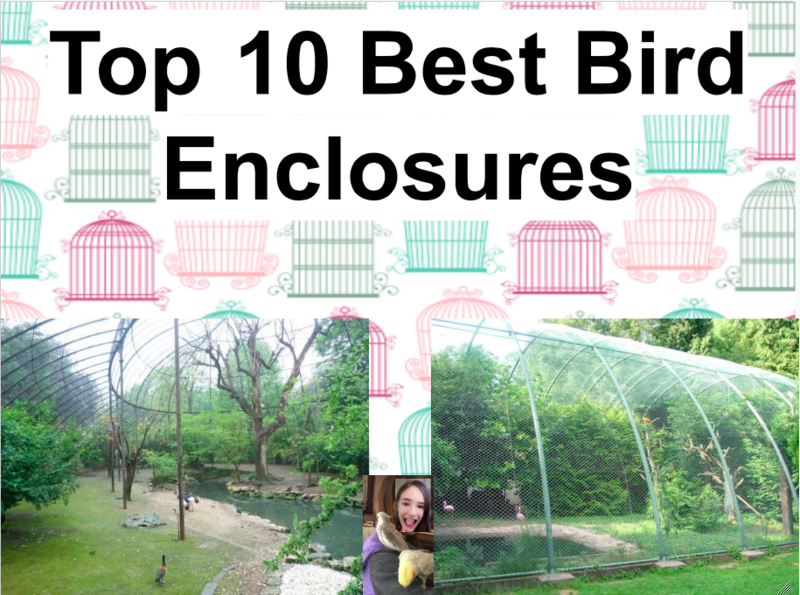 That is 10 AWESOME BIRD ENCLOSURES! Comment which bird enclosure was your favorite! Share, Like, Follow, and comment for more! Next Top 10 Best Valentines Day Gifts For People On A BUDGET! ?